Lime green, ballerina pink and creamy white- a pastel palette of colour that inspires grace, femininity and humility. 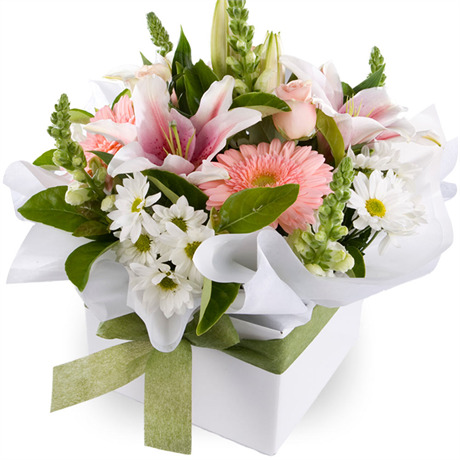 Our Audrey arrangement is a timeless classic and features the splendour of fragrant Oriental lilies splashed with pink and white. Accompanying these impressive blooms are ballerina pink gerberas, velvety blush roses, ridged snapdragons and fluffy white chrysanthemums. When you want to send something regal and charming, choose the Audrey.